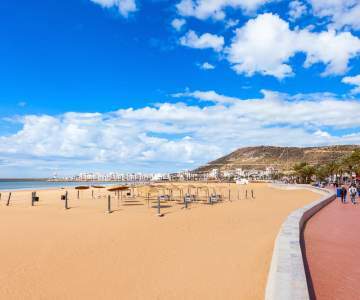 Look here for when a flight to Agadir is the cheapest and book your chance! Hover with your mouse over the graph to look at the exact price for each day. 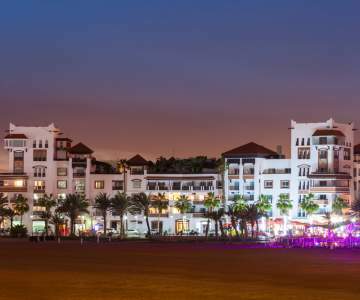 Look here for when a flight to Agadir is the cheapest and book your chance! 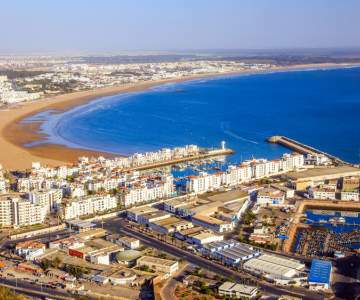 Cheap flights to Agadir, Morocco. Don’t forget your inflatable crocodile, because Agadir is Morocco’s largest seaside resort. From a refreshing dip or jet ski ride in the summer months to the impressive Immouzer waterfall in winter, Agadir offers wet-and-wild fun all year round. And for bird spotting of a different kind, try Sous-Massa where the herons and flamingos flock en masse. But watch out: even the goats appear to fly here in ‘Gaga-dir’! 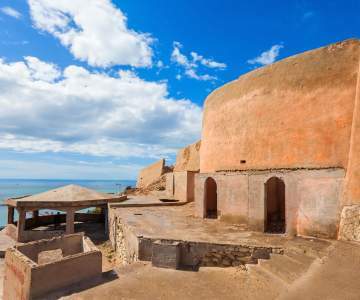 Buy cheap flights to Agadir offered by TUIfly and Brussels Airlines .